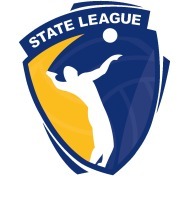 In only its second year the Volleyball Victoria State League Pink Round was again a massive success. 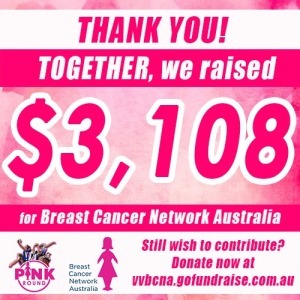 The support the community has shown to Breast Cancer Network Australia has been nothing short of incredible and together, as a community, we raised $3,108.60. 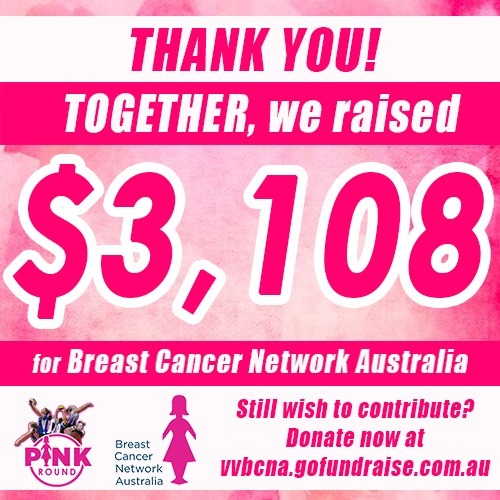 As a community we not only raised funds for BCNA but the State Volleyball Centre, Latrobe Leisure Centre and Bendigo Stadium was flooded by a sea of pink. It was a fantastic display of support for all Australians affected by breast cancer! Also a special thank you to our State League clubs Melbourne University Renegades for organising the Face Paint area and Phantoms Volleyball Club whose Bake Sale raised over $800! !